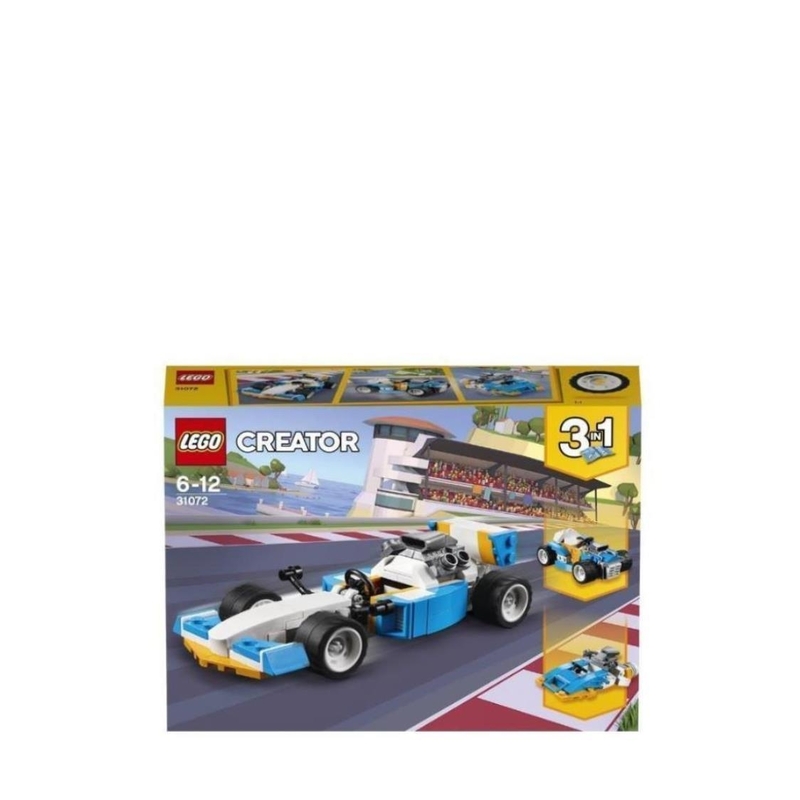 - The 3-in-1 Extreme Engines set features a rebuildable Race Car with lots of authentic details, including a large rear engine, side air intakes, wide rims with low profile tires and adjustable wing mirrors and rear spoiler. - Features a blue, white, yellow and black color scheme. - Adjust the wing mirrors, set the rear spoiler for maximum speed, take your position on the start line and prepare for some high-speed action. - Continue the adventure with this 3-in-1 model. Rebuild the Extreme Engines Race Car for more high-speed adventures behind the wheel of a powerful Hot Rod, or take to the waves for racing action aboard an aerodynamic Speedboat. 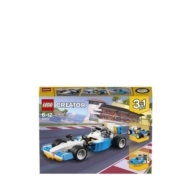 - This construction toy is suitable for ages 6-12. 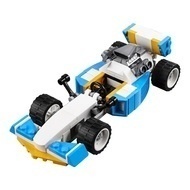 - Race Car measures over 1” (4cm) high, 5” (15cm) long and 2” (6cm) wide. - Hot Rod measures over 1” (4cm) high, 3” (9cm) long and 2” (6cm) wide. - Speedboat measures over 2” (6cm) high, 3” (9cm) long and 2” (6cm) wide.